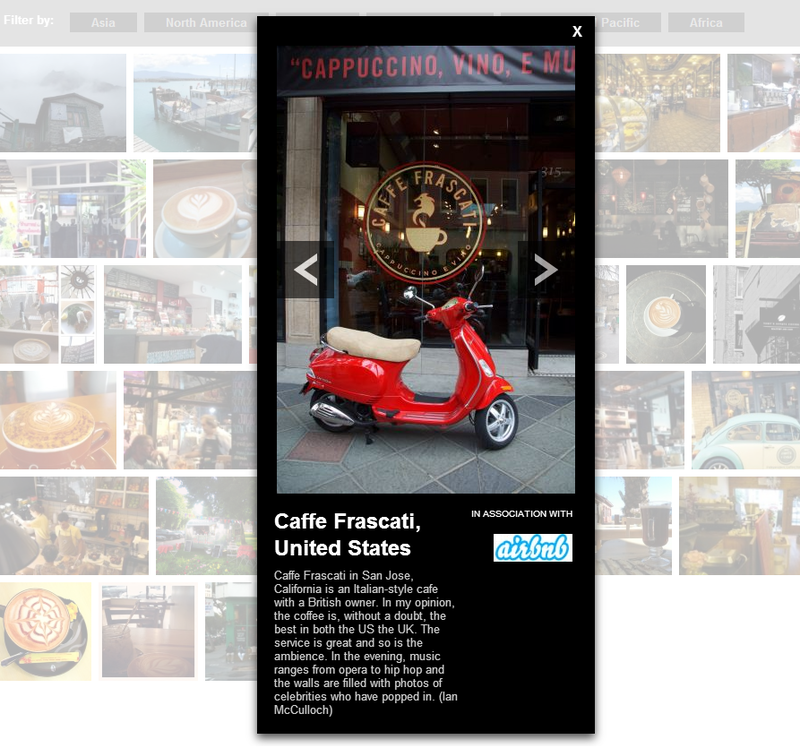 The San Jose Blog: Caffe Frascati Named One of the Best Coffee Shops in the World! Caffe Frascati Named One of the Best Coffee Shops in the World! Huge congratulations to Caffe Frascati for making it to an international list of best coffee shops on BBC Travel. The quote is priceless "In my opinion, the coffee is, without a doubt, the best in both the US and the UK" [Josh: okay I did fix a small typo in there]. I have to agree that it is a super cool coffee shop with a quality product, loads of character, and a friendly owner that is passionate about what he does. The live music at night is a nice touch (Opera on First Fridays). There's no way that Frascati is even close to the best just in SJ, but hey good for them, I guess. Kinda a BS story as these were just submissions by people. My favorite coffee in SJ is Barefoot. I frequent Caffe Frascati for the coffee, the ambiance, and the coffee, in that order.